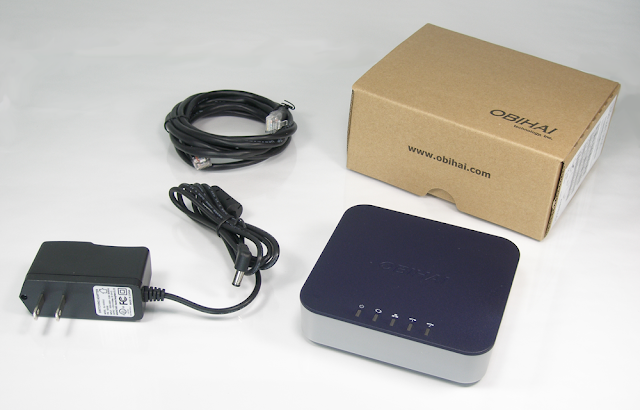 When you purchase the OBi202 from Obihai Technology on Amazon.com, then add the OBiWiFi and OBiBT USB adapter accessories, at checkout, you will save $20 off the everyday low price of $124.99. That's only $104.99 for the world's most advanced home and small business VoIP phone adapter and its two integrated accessories. The OBi202 works with hundreds of SIP services like those from Anveo, Callcentric and VoIP.ms. 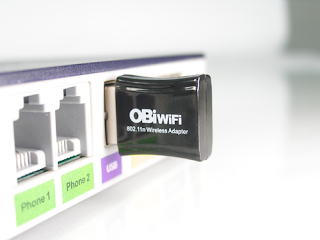 With the OBiWiFi adapter accessory you will have the ability to connect via WiFi to your home / office access point. 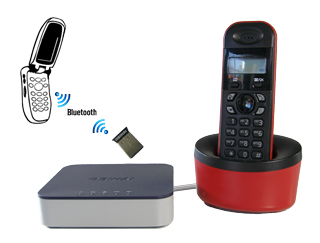 With the OBiBT Bluetooth adapter, you can pair your cell phone with the OBi202's phone ports as well as use the OBi's unique voice bridging ability to connect cell phone calls to VoIP services. If you want to use the OBi202 with the OBiWiFi and OBiBT at the same time, you will need a good quality USB 2.0 (or greater) hub. We recommend the Belkin or the CyberPower USB hubs. 1. Place the OBi202 that is "Sold by Obihai Technology, Inc." in your shopping cart. You may first have to select the "20 new" (or whatever number) link to be able to view the Obihai Technology, Inc. item. 2. Place an OBiWiFi Wireless Adapter in your Amazon shopping cart. 3. Place an OBiBT Bluetooth Adapter in your Amazon shopping cart. 4. If you order all three products, when you are ready to Place Your Order, you will see that there are two "Promotion Applied" line items to your order, bringing the total to $104.99 before tax and shipping (if any).